An advanced 300hr Yoga Alliance certified Traditional Yoga & Tantra Teacher Training for Men & Women. Sharabh Tantra Yoga is a system of Yoga that has been transmitted through the Bhairavanand Tantra lineage. It is an authentic and advanced system of Indian Yoga. The main key to Sharabh Tantra Yoga is the use of Mantra & Kriyas. 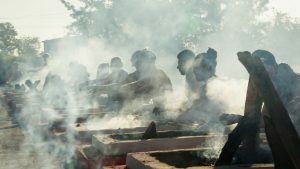 The practices mainly include traditional Sun Salutation, Yoga Asan, Kriyas, Bandhas, Pranayama, Kundalini Hatha Yoga, Sun Tratak, and Japa Meditation, Sharabh Yoga is a system that is transmitted through the Bhairavand Lineage and is taught through Ra Lalita Dasi & Yorgos Mazarakis to participants during a six week process, Maharaj Guruji Rajkumar Baswar will be present during aspects of the training.. Participants go through a particular sadhana process to activate each petal of each chakra mainly through specialised Kriyas and the use of herbal pastes and formulas. The training includes teachings on subtle anatomy, traditional Tantric texts such as the Vijnana Bhairava Tantra, and the art of teaching at advanced levels. 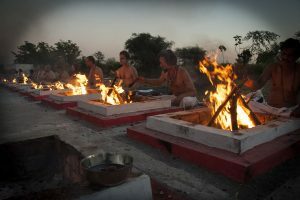 Participants also learn a system of Yagna (fire ceremony) and the creation of Yantra. 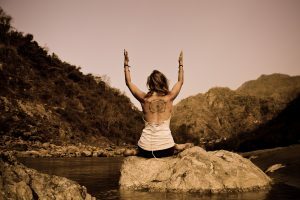 The depth and quality of the teachings at Sharabh Yoga create an advanced level 3 teacher training for experienced practitioners and teachers. From the actual participation in this teacher training course the nadis and chakra system can be cleared at a very deep level so that teachers are authentically able to transmit to others this science of Tantra Yoga from their own embodiment of the teachings. For a six month period following the training, teachers are required to complete the transmission with a one hour daily Japa meditation. Contact us for more information, application will be reviewed though our application process and also a personal interview.